Songs of Eretz Poetry Review is pleased to present “China: Ancient Technology Exhibition” by Mary Soon Lee. Ms. Lee was born and raised in London but has lived in Pittsburgh for the past twenty years. Her poetry credits include Atlanta Review, Ideomancer, and Star*Line. Her poem "Interregnum" won the 2014 Rhysling Award for Best Long Poem. And hangs it to dry. But the chain has broken. As he rolls it up gently. Editor’s Note: I love the mood that the poet has created here, as well as fluidity with which she manipulates time. 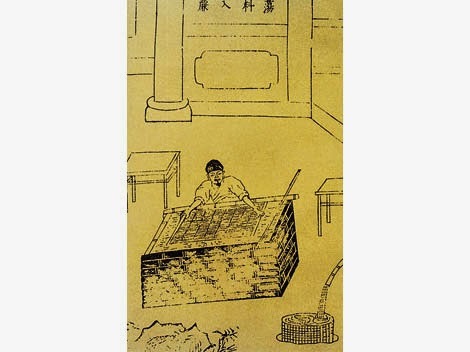 “China: Ancient Technology Exhibition” first appeared in American Scholar, Spring 2004, Volume 73, Number 2.